As an ambitious Diviner, you aspire to master the secrets of divination, by dowsing the underground for various valuable materials. As your power is limited, you can't see everything. But by careful divination, you will localize enough valuables to be promoted, and advance through the ranks of the Diviners. 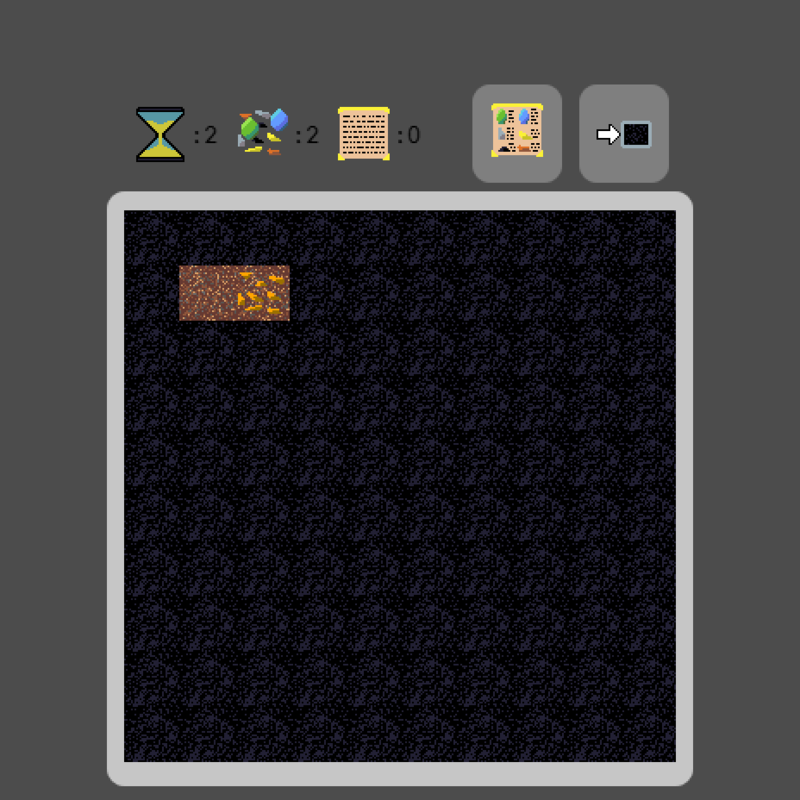 "The Diviner" is a puzzle-game, and was made in Java, using the LibGDX framework. Java is required in order to run the non-web version of the game. The art was made using Aseprite, and the music was made using LMMS. The game is controlled by mouse. Hover over buttons or icons to see a description. You can access the Tome of Discovery in-game as well, which contains additional information. Alternate web-link, use this if the resolution looks weird, when you use the-web link below.